For a co-worker who just became a Grandma for the first time. Surprisingly, these two giraffes are from two different stamp sets AND makers. 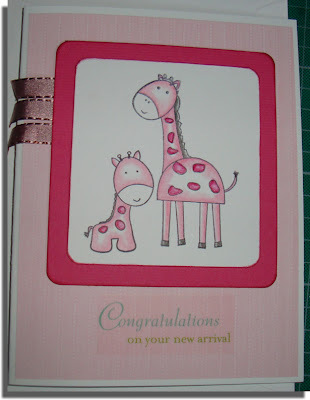 But they go nicely together; especially for a Baby Card. 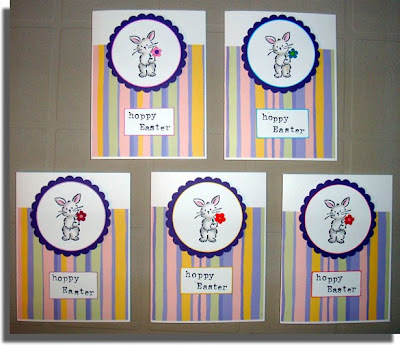 Five Easter cards for the family; each one has a different coloured flower and matching inked edges.